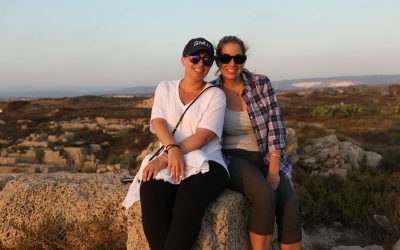 Inside Israel, exclusively for young professionals from the Detroit area, is an one-of-a-kind opportunity to engage with the diverse segments of Israeli society, explore the rich history of the region and JDC’s unique role in providing social services. This trip is run in partnership with The Well. Travel and build relationships with a dynamic group of young professionals from the Detroit area. Engage in monthly-gatherings with The Well in Detroit following the trip to stay connected to the group, Entwine and the global Jewish community. Dive into some of the challenges facing Israel’s diverse communities including Israeli-Arab, Bedouin, Ultra-Orthodox, persons with disabilities, and youth-at-risk through hands-on site visits across the country. Connect with JDC’s leading experts and community leaders who are working in partnership with the Israeli government to better the lives of Israel’s citizens through social integration, education and employment initiatives. Participate in a wheelchair basketball match to gain insight on how JDC encourages Israelis with disabilities to enjoy a healthy lifestyle and visit Hakaveret, JDC’s social innovation hub, to learn how young Israeli innovators and entrepreneurs are bringing social change through technology. Explore the country’s diverse culture, food, nightlife and natural beauty while soaking up the vibrant city of Tel Aviv and walking down the historic streets of Jerusalem. Enjoy an awesome Thanksgiving Dinner with Detroit expats now living in Israel! Medical and emergency evacuation insurance. JDC works in partnership with the State of Israel to address the needs of the country’s most vulnerable populations, Jews and non-Jews alike. JDC’s work has evolved over time from that of a direct service provider to a developer of new social and welfare programs serving those least able to participate fully in society. JDC-Israel develops new social service models to effectively address unmet and under-met social needs. Once developed, tested, and proven, these models are disseminated throughout the country as needed and integrated by JDC’s Israeli partners as routine elements of the social services they themselves provide. Through strategic interventions, JDC-Israel touches the lives of 1 in 4 Israelis, assisting the most vulnerable target populations such as children and youth at risk and their families, the elderly, immigrant groups, the chronically unemployed, and the disabled. In 2007, JDC-Israel was awarded the Israel Prize for Lifetime Achievement and Special Contribution to Society and the State of Israel, the Jewish state’s highest civilian honor. Founded in 2015, The Well is a nationally recognized (Slingshot ’17, ’18) inclusive Jewish community-building, education and spirituality outreach initiative, catering to the needs of young adults and young families. Based in Metro Detroit, America’s rust belt R&D playground, The Well’s innovative programming, grassroots model and intentionality regarding accessibility and inclusion have resulted in the organization being referred to as “the hipster cousin to the JCC in your town,” with many of its models and programs now being utilized across the country. ReJoint is a new leadership initiative designed exclusively for alumni of Entwine’s global immersive experiences. 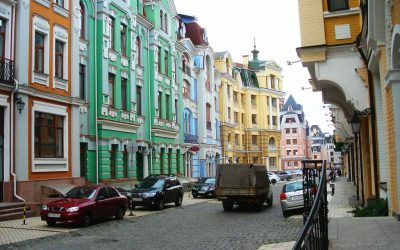 Discover the renaissance of Jewish life in post-communist Kiev and Odessa. This trip is ideal for young professionals from a Russian Speaking Jewish background. 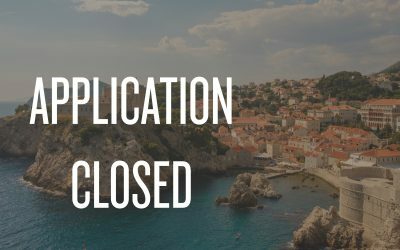 Explore the ancient Jewish community of the Balkans and come together with young leaders and change-makers from across the globe.